PLEASE STOP! YOU DO NOT HAVE MY AUTHORIZATION TO USE NOR TO MAKE BOOTLEG PRODUCTS WITH MY DESIGN. 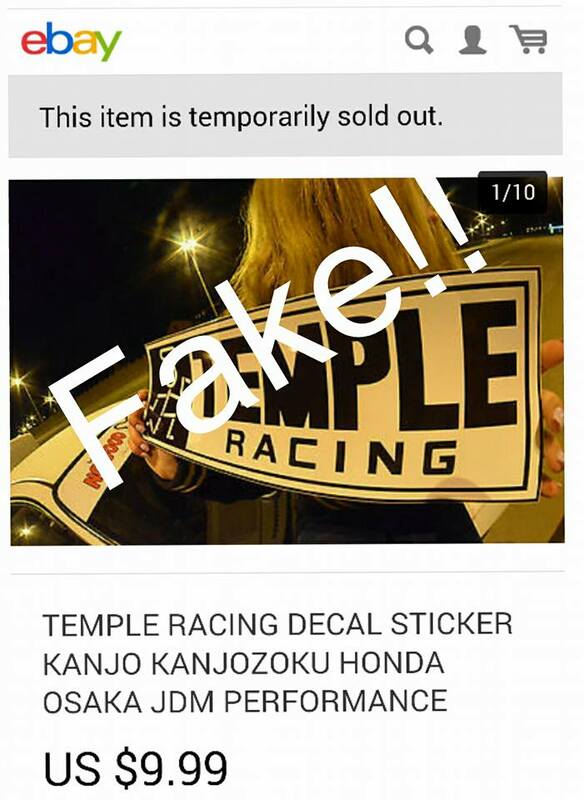 TEMPLE RACING, ALONG WITH KAZUHIRO FURUKAWA, ARE NOT HAPPY ABOUT THIS EITHER. IF YOU LOVE AND RESPECT THE CULTURE, YOU WOULD HAVE OBTAINED PERMISSION FROM THE ORIGINAL CREATORS BEFORE MAKING MERCHANDISE FOR YOUR OWN BENEFIT. MAKING UNAUTHENTIC COPIES WITHOUT CONSENT IS FROWNED UPON. 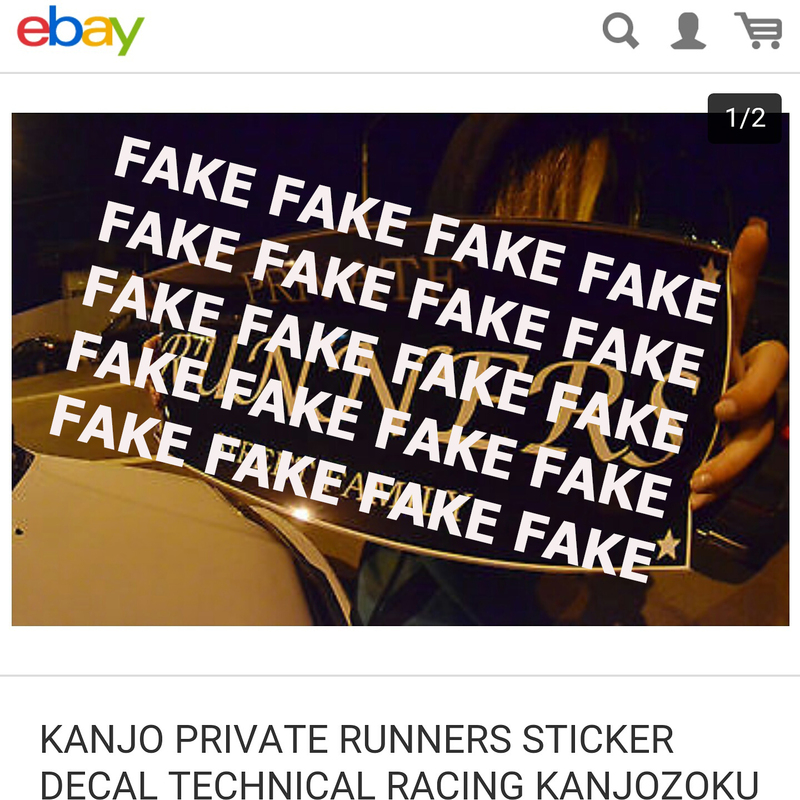 I HAVE NEVER SOLD ANY PRIVATE RUNNER STICKERS NOR WILL I EVER. I WOULD APPRECIATE YOUR COOPERATION AND FULFILL MY REQUEST TO REFRAIN FROM FURTHER SALES.